SAN SALVADOR, El Salvador–The first LCC (Low Cost Carrier) in Central America, VECA Airlines (Vuelos Economicos Centro Americanos) is expected to start operations very soon. The airline will operate two Airbus A-319s from its hub at Comalapa International Airport of El Salvador to all the Central American capitals and important cities: Guatemala City, San Pedro-Sula, Tegucigalpa, Managua, San Jose and Panama City. VECA Airline is hoping to break the duo-poly of the Central American traffic of both Avianca (former TACA Airlines) and COPA Airlines of Panama. 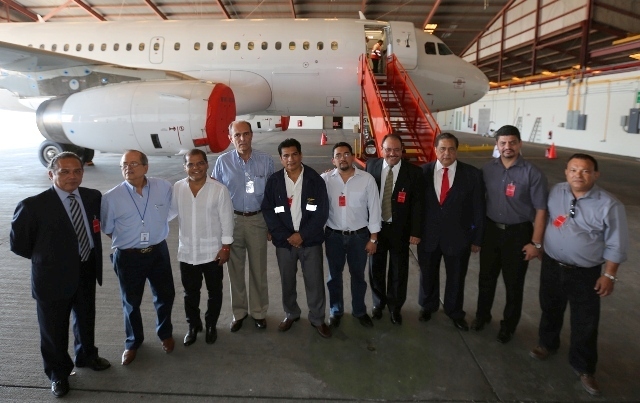 Several former TACA Airlines employees work at VECA Airlines, the new runner up as the Salvadorian flag carrier after the absorption of TACA by the Colombian flag carrier. VECA Airlines is one of the three Central American carriers hoping to take off in 2014. The other two airlines are from Costa Rica: Ticos Air and TIA (Tica Air International) owned by Air Panama. Both projects have been slow to start, and now Costa Rican pubkic opinion is skeptical the airline owned by Gino Renzi (Ticos Air) will ever take off. In the meantime, VECA Airlines is ready for take off. VECA Airlines will operate Airbus A-319s for Intra-Central American service. This entry was posted in Air Panama, Airline Alliances, Airlines, Avianca, Central American Airports, Colombia, Costa Rica, El Salvador, Honduras, LACSA, Latin American Airlines, Latin American Airports, Latin American Flag Carriers, Latin American Low Cost Carriers, Panama, TACA and tagged Avianca, COPA Airlines, Costa Rica, El Salvador, Honduras, Low Cost Carrier, Nicaragua, Panama, Roberto Sandoval, TACA Airlines, VECA Airlines. March 15th Indura Beach & Golf Resort will open in Tela Bay. TELA BAY, Honduras–On March 15th, the deluxe Indura Beach & Golf Resort will open in Tela Bay on the northern coast of Honduras. Just 50 minutes north of San Pedro-Sula International Airport, Indura is the first five star resort in the Central American country. The name of the resort is the translation of “Honduras” in the garifuna language and will feature a state-of-the-art golf course designed by Gary Player. A unique golf course surrounded by native mangroves and palm trees, local flora and fauna, and spectacular views of the Caribbean coastline. Dotting a lush tropical landscape the 60 junior suites are scattered in 15 villas that are interconnected by footpaths that meander to a pristine beach. The design incorporates the liberal use of local Honduran products and sustainable materials, including bamboo floors, walls of local pine, San Juan wood doors and decorative accents of Guanacaste wood. Anchored in the culinary traditions of Honduras, dining at Indura Beach & Golf Resort will be a relaxing, authentic experience that pairs indigenous ingredients grown on the property with local fare prepared with recipes and techniques borrowed from the Garifuna and South American cultures. The resulting dishes capture the essence of this corner of paradise while still remaining flavorful and familiar. The first of its kind in Honduras, the spa will be a reflection of an immersion in the culture of Honduras, both in design and development of treatments. A philosophy in tune with nature’s elements, Maina will be a sanctuary of relaxed simplicity designed around fragrant and serene water gardens. Gentle sea breezes will pass through private spa “casitas” capturing the essence of local flora while sunlight and shadows play lightly throughout the space. An outdoor lifestyle is fostered in the relaxation areas comprised of terraces, balconies and pools. Guests of Indura Beach & Golf Resort will be able to enjoy the resort but also the picturesque Jeannette Kawas National Park, a treasure trove of beaches, wetlands, tropical forests, coral reefs and lagoons and the Laguna de los Micos and the Lancetilla Botanical Gardens plus one-day tours to the Copan Archaeological Park. Even though the Honduran government plans to upgrade Tela Bay Airport, the best way to reach the resort from the U.S. will be using San Pedro-Sula’s International Airport that is serviced by American Airlines, Delta Airlines, United Airlines, Spirit Airlines and Avianca. This entry was posted in Avianca, Honduras, TACA and tagged American Airlines, Avianca, DELTA Airlines, Garifunas, Indura, San Pedro-Sula International Airport, Spirit Airlines, Tela Bay, Tela Bay Airport. SAN JOSE, Costa Rica–The year 2014 will be the year of airport competition in Central America. As Panama City’s Tocumen International Airport attracts more airlines (the latest are Air France and TAP Portugal), the rest of the Central American airports will gear up to compete for the “second position”. San Jose’s Juan Santamaria International Airport (probably the most modern of the region) suffered in May the unfortunate dismantling of old LACSA’s hub. Juan Santamaria International Airport (JSIA) is just another point-to-point station in the Avianca route system, as practically all U.S. non-stop operations were transferred to El Salvador’s Comalapa International Airport. But AERIS, the private company that manages JSIA is focusing in 2014 to attract new airlines from South America, Europe, Russia and even Asia. AERIS will start the second phase of its expansion that includes several more gates that can handle wide-body aircraft like Airbus A-340-600 and B-747. The gate area will grow double in space by 2017. JSIA will become the hub for Costa Rican start-up Ticos Air. CORIPORT S.A., the company that manages the other Costa Rican international terminal, Liberia’s Daniel Oduber International Airport in the Guanacaste province hopes to also attract new customers like Southwest Airlines and Spirit Airlines. The Honduran government is hoping to jump start the project for Tegucigalpa’s new international airport in Palmerola, in order to finally shut down the second most dangerous airport in the world: Toncontin. The government in Tegucigalpa hopes also to upgrade the infraestructure of San Pedro-Sula, Roatan Island and La Ceiba Airports. Managua’s Augusto Cesar Sandino International Airport and Belize City International Airport at the moment have no expansion projects. 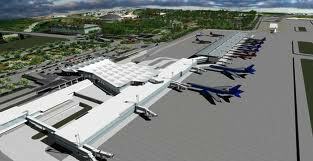 In 2014 El Salvador’s Comalapa International Airport will see the start of construction. CEPA (the government agency that manages the airport) hopes to turn the air terminal in the most modern airport in Central America. The new Salvadorian low cost carrier VECA Airlines has chosen Comalapa International Airport to be its main hub. Guatemala City’s La Aurora International Airport is one of the most under used terminals of the region. Finally the Guatemalan government hopes to bring more airline clients to the modern La Aurora International Airport that after its remodeling is totally under used. The growth of tourism in the area will be the trigger for the international airports to modernize and expand. This entry was posted in Central American Airports, Central American Domestic Airlines, Costa Rica, El Salvador, Guanacaste, Honduras, Latin American Airlines, Latin American Airports, Latin American Flag Carriers, Latin American Low Cost Carriers, Panama, TACA and tagged Augusto Cesar Sandino International Airport, Belize City, Costa Rica, Daniel Oduber International Airport, El Salvador, Guatemala, Guatemala City, Juan Santamaria International Airport, La Aurora, Liberia, Managua, Nicaragua, Panama, Panama City, San Jose, Tocumen International Airport. SAN SALVADOR, El Salvador–For decades the airfares between the Central American capitals and most important cities have been as expensive or even more than a ticket to Miami, New York or Los Angeles. The Central American airlines of the 1970s like Aviateca, TACA International Airlines, SAHSA, TAN, LANICA, Aeronica, LACSA and COPA had almost an understanding of charging the same fares. In the 1990s when TACA International Airlines purchased the ill-managed Aviateca, SAHSA and LACSA, its merged consortium knowned as GRUPO TACA practically monopolized the intra-Central American market. Fares from San Salvador to Panama City could be as high as $500.00 and fares from San Jose to Guatemala City could be as high as $400.00. In 2009 when TACA Airlines and Avianca announced the merger between the two carriers, it was clear that the monopolistic practices of the Central American market were going to be extended way beyond Colombia. In 2013 a group of entrepeneurs in El Salvador announced the creation of the first Low Cost Carrier (LCC) in the region under the name of VECA (Vuelos Economicos Centro Americanos). The airline is expected to operate from Comalapa International Airport (45 minutes away from San Salvador) to the capitals of Central America and important cities like San Pedro-Sula in Honduras and Liberia in Costa Rica. The airline will operate modern Airbus A-319s and will break the supreme monopolistic hold of both Avianca (the former TACA Airlines) and COPA Airlines, both carriers members of Star Alliance. In cities of the United States with high density Salvadorian population such as Los Angeles, Washington, New York and Houston the news of the Salvadorian start-up has been welcomed with enthusiasm. What is not clear yet is if VECA Airlines will ever spread its wings from El Salvador to the U.S. 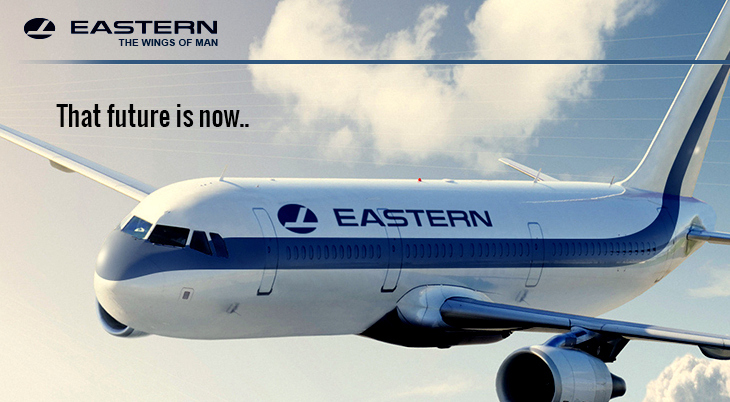 The airline is expected to start services in the first quarter of 2014. VECA Airlines modern logo uses the colours of the Salvadorian flag. This entry was posted in Airlines, El Salvador, Honduras, LACSA, Latin American Airlines, Latin American Airports, Latin American Flag Carriers, Latin American Low Cost Carriers, TACA and tagged Aeronica, Aviateca, Comalapa International Airport, COPA, El Salvador, LACSA, LANICA, LCC, SAHSA, TACA International Airlines, TAN, VECA Airlines.